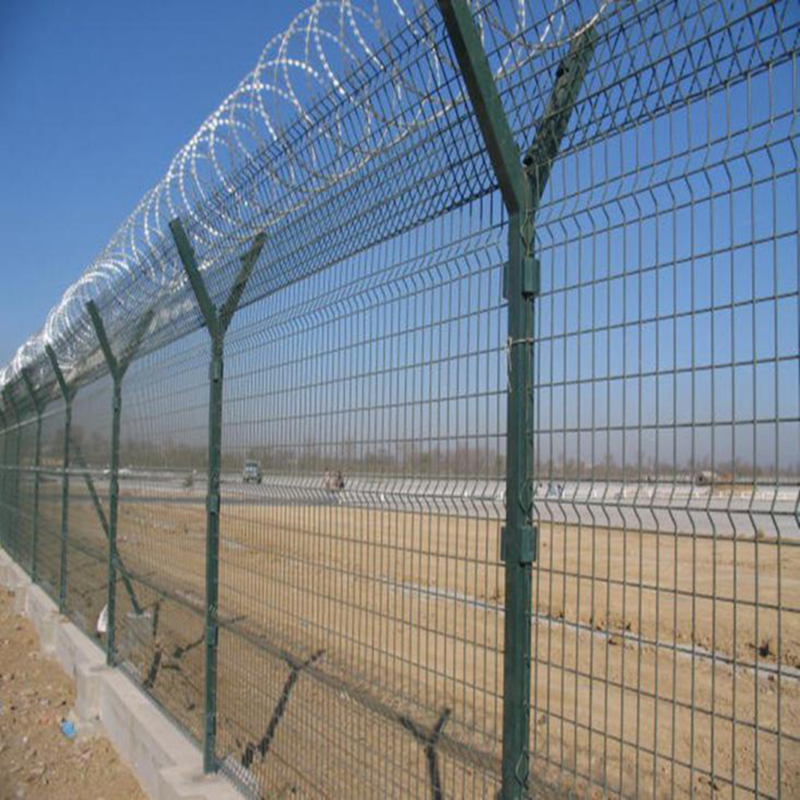 Product categories of Airport Fence, we are specialized manufacturers from China, Airport Fence, Welded Airport Fence suppliers/factory, wholesale high-quality products of Galvanized Airport Fence R & D and manufacturing, we have the perfect after-sales service and technical support. Look forward to your cooperation! Airport Security Fence is a kind of security fence around the airport. Airport Fence is generally Y-shaped post, fixed with Razor Barbed Wire on top, which greatly increases the security performance. The mesh under the razor has simple structure and easy to transport. It is installed without any requirement for terrain, highly adaptive for bending zone. It is mainly used for protection and safety around the airport.